Escape room games are real-life puzzle experiences where you are shut in a room and must find clues and solve challenges to escape in the allocated time. It sounds a little creepy (you are paying someone to lock you in a room, after all) but it is a lot of fun. 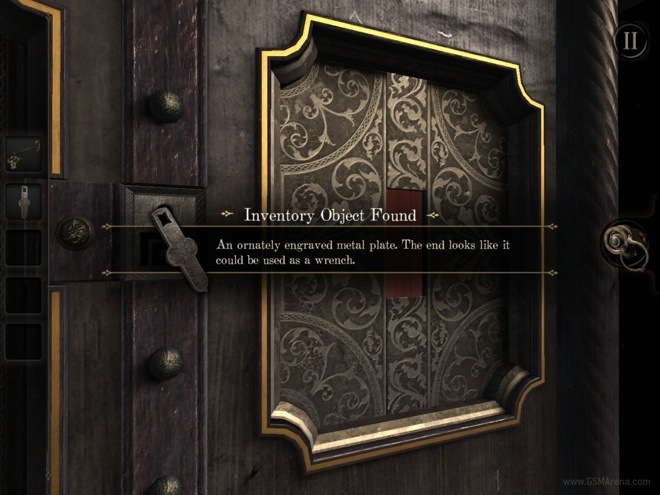 Great rooms incorporate different elements to add to the experience, including sound effects, costume props, multimedia puzzles and hidden doors and passageways. Above all, solving the riddles and earning your escape is a huge thrill. Games like ‘The Room’ involve searching for clues to solve puzzles and escape the room. The escape room genre originated as point-and-click (or point-and-touch) games where objects have to be collected and codes solved to get out of the room. The Room, Forever Lost and Dooors are just a few of the games that have taken the App Store by storm, amassing millions of downloads and surging to the top of the charts. Escape rooms are an extension of this concept. Wouldn’t it be fun if you had to search for clues, solve puzzles and use your wit and determination to get out of a physical room? In the same way that Humans vs Zombies become popular on university campuses around the world, escape rooms gives everyday people the chance to do something extraordinarily, wonderfully fun. Depending on who you ask, real-life escape rooms started in Budapest, Hungary, or in Japan. Either way, the phenomenon has grown since beginning in 2011 (Budapest), with rooms popping up across the world. The craze spread across Europe and Asia, with an explosion of intricately-designed rooms with out-of-this-world themes in an effort to make a point of difference. The biggest downside of escape rooms also works to its advantage: you can only play the room once. It means that once you’ve finished all the rooms in a venue, that’s it – until they change it or add another room. This makes for a highly competitive market, with other operators springing up seemingly overnight because once someone is hooked, they’ll play every room in the city. Australia got its taste of an escape room in October 2013 with Mystic Clue opening its doors in the Perth suburb of Cannington. In a short space of time, dozens of venues and even more rooms have sprung up across the country, offering unique and engaging experiences. As the word spreads about what escape rooms are and as more people try them, demand for new experiences will only increase. We’re really excited to see what the game masters have to offer. Nice Post! Yes Escape Room games are real life games. I have a question. Is team building important in Escape Room games? Teamwork is essential to successfully complete an escape room. Many venues even target the corporate market under the guise of a team-building activity. Escape rooms seem really fun. I love the fact that you can go into a room and just try to get out, like those app games. I’ll definitely start trying the ones in my town out, and see how fun they are. I like how you simply explained that an escape room is a real-life puzzle game wherein we are locked in a room and must find clues and solve puzzles in order to complete the challenge. That’s actually what I want to know the most because my supervisor kept mentioning it to me last night. We’re going to have a team building activity next month, and he wants to try out this escape room thing. At least, now I know what it is. Thanks for sharing.